When it comes to the underground music scene many artists have it hard especially if they don’t have the acclaimed mainstream appeal. When it comes to the music fixture of Bronx native and R&B singer Winston Ward, he has proven that you can be an underground artist working your way towards the mainstream level if you truly work hard at it. Ward, who has a sound that is reminiscent of Mali Music, got his start in the church just as many other artists but soon found himself swooning away from the church music scene due to judgment and not being able to freely express himself through his music. With the ever increasing trend of using social media as a platform, Ward has done just that by using creative and innovative hash tags on his social media sites to highlight his creativity in the music world. Most notable hash tag known to his Twitter and Instagram followers is #CanISingForYou in which Ward oftentimes releases famous covers, new music from his own creative factory and other fun inspiring quotes and notations that he lives by as a music artist. Ward recently released his latest single, ‘No Reason’ on Valentine’s Day and as lyrics in the song describe, he wants you to love just for no reason. The single tells the story of a woman being loved and showered with affection from her man for no reason at all. Although there is much to be compared, it is very undeniable that Ward’s voice draws you in the moment he blesses the mic with his voice. There are many things that stand Ward apart from many other underground artists and one notable thing is that he sings live with a band. Many up and coming artists tend to sing their live music with just the help of the produced track but not Ward, who feels that he can freely pour himself out to the crowd with live sounds. A lasting effect that also stands Ward aside from other artists is that he considers himself an R&B student of music to where he breathes on the fact about learning how to further perfect his artistry. Many up and coming artists tend to stick to their one sound and is oftentimes not open to constructive criticism but it’s just the opposite for Ward. 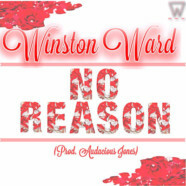 ‘No Reason’ is certainly worth a listen to because not only does Ward pour his heart out on the track, he also gives a little sound advice to the fellows. It’s not your typical love song; rather it’s more of an inspiration song. Ward processes the talent and agility to continue to move up in the ranks of the R&B music world.